Atomic structure. 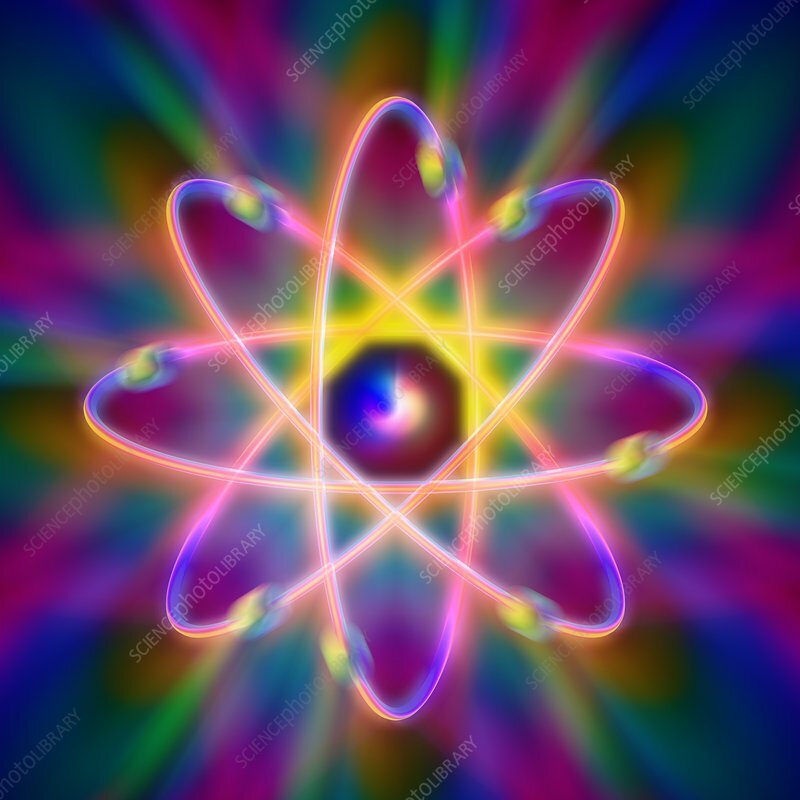 Conceptual computer artwork representing the structure of an atom. Eight electrons are seen orbiting the central nucleus along definite paths. This is a schematic 'Bohr model' of an atom; electrons are thought to inhabit areas of probability around a nucleus rather than fixed paths such as these.